For this school year, I'm doing something we haven't done before: exploring options for online classes. My oldest is in high school now, and there are some areas in which I could use some extra support. I haven't been consistent in teaching foreign language. I couldn't decide what to teach; I took a fair bit of French in college, but I wondered if Spanish would be more useful; I wanted to teach Latin but wasn't sure how I wanted go about doing that; etc. We were recently given the opportunity to review a six month subscription to Middlebury Interactive Languages, and I was excited to try it out. I had my oldest daughter, who is in 9th grade, enroll in their high school French Courses. They offer courses in Spanish, French, German and Chinese, for students in grades K-12. Note that only Spanish is offered for the K-2 grades at this time. Honestly, I wondered what on earth we were supposed to do, but we did finally notice the little arrow at the bottom right of the screen in the "Up Next" section. When you put in your start date for the course, a calendar is automatically set up for you with the lessons all scheduled. Middle school and high school lessons are scheduled 5 days per week, for a total of 90 lessons per semester. There is also a Table of Contents, where you can see all the lessons listed. When you click on a lesson folder, it opens up so you can see each part of the lesson. 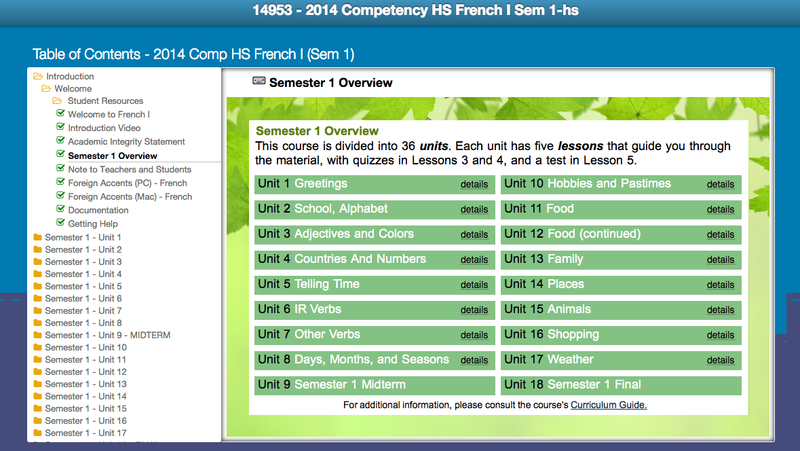 In the semester overview, you are able to see what will be covered in your lessons. Each unit has 5 lessons, and each lesson incorporates varied activities that help the student connect with the language they are learning. Each day's lesson is a little different, so it's never boring. Students learn vocabulary and grammar, and also a bit about the cultures in the countries where French is spoken. Activities include short videos, listening, reading, writing (typing), and interactive games. The typing activities include filling in blanks with vocabulary words, but also short journal entries. I was impressed with how quickly students are assigned to write a few sentences in French, using what they've learned in the program. Each day's lesson takes up to about a half hour, depending on how quickly the student moves through the activities. My daughter found the Speaking Labs to be particularly helpful, because you listen to a native speaker pronounce what you're learning and then you record yourself repeating the word or phrase. You can then compare your pronunciation to the native speaker's and see how well you've done. 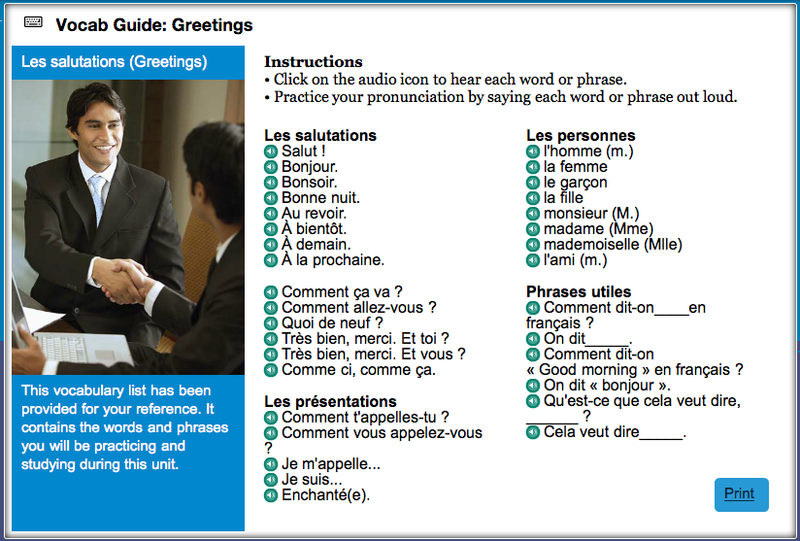 It can be tricky to produce sounds correctly in a foreign language, and this feature shows students where they need the most practice. From a teacher's perspective, this is an incredibly easy program to use. A high school student logs in independently and works independently. The program automatically takes them to where they left off when they log in again, so there is no confusion about that. You can easily use this program with a computer or tablet, which makes it portable. There is a grade book which shows you the scores they've received on the work they've completed. My only concern about the program, and this applies to most online courses we've tried, is the lack of physical writing assignments. Typing is fine, but physically writing things out helps make an important connection in a student's brain. I have Emma write things in a notebook. I realize there is no way for an online course to grade that kind of thing, but I still think it's important. I am impressed with this program and think it's an excellent online language course option for homeschoolers. You can purchase courses for $119 per semester. 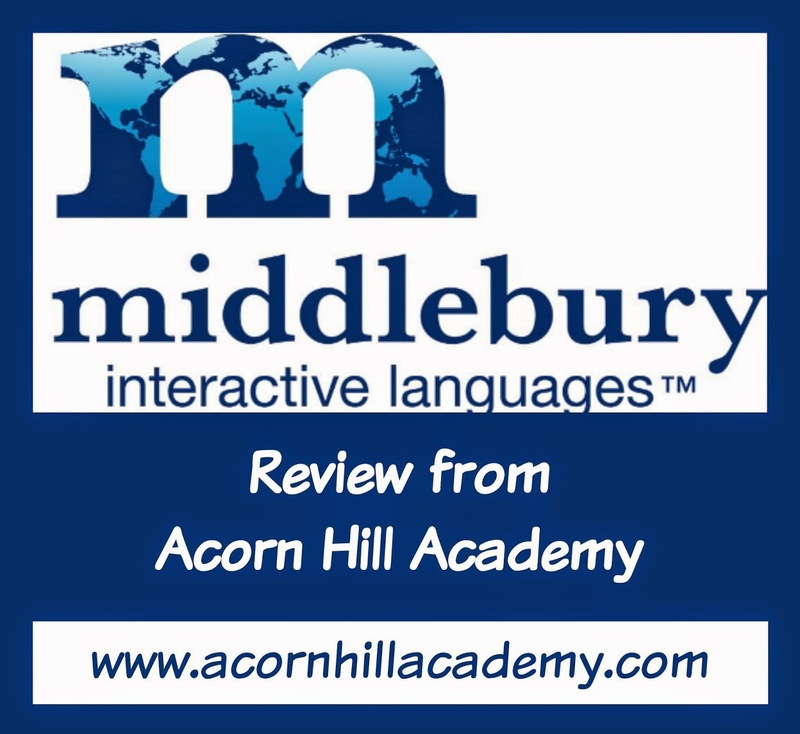 If you'd like to learn more about Middlebury Interactive Languages, click here for some videos about their programs (you will be asked to enter your email address.